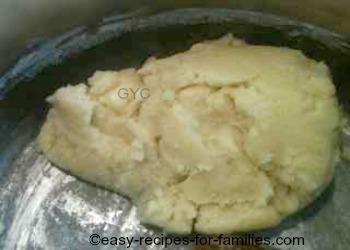 You've joined us on this page, where we learn to make the cookie dough for this Christmas cookie recipe. Let's make the cookie dough. It's incredibly easy to do. 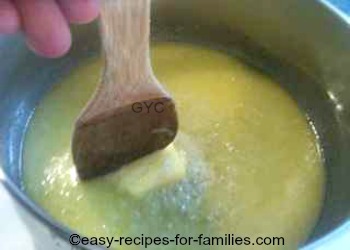 Firstly melt butter in a sauce pan with sugar. 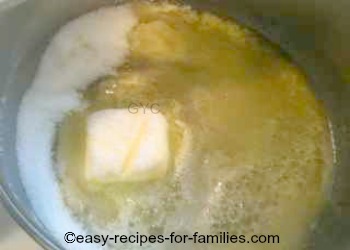 Turn off the heat as soon as the butter melts. Don't burn the mixture. But, keep stirring till the mixture is thick and well combined. See how the it melts and the mixture becomes a thick slurry. 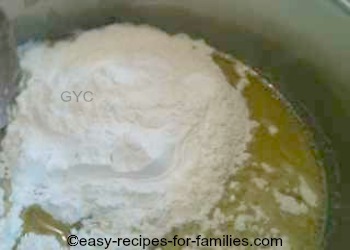 Tip in all the flour and corn flour. 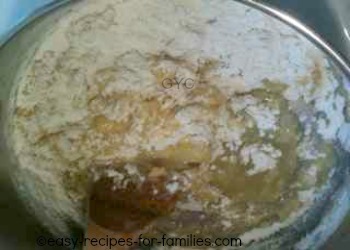 Fold in the flour and you'll find the mixture starts to clump together. Here it is, the cookie dough ready for the next step. The key is to make the cookie short with a high proportion of butter - yes the real stuff - and do not be tempted to substitute with vegetable oil. There's no question about this - butter tastes superior...and never use margarine as a substitute for any recipes. 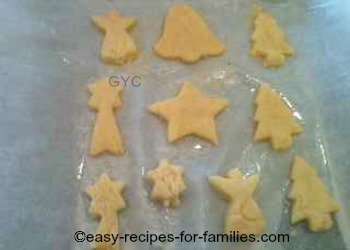 I'll share the next secret when you visit the next step of this easy Christmas cookie recipe tutorial. Leave Best Christmas Cookie Recipe to explore hundreds of delicious easy recipes for desserts, cakes, cookies and easy Christmas Holiday recipes!